Beth found a fun new use for pumpkin carving templates. Instead of carving out jack-o-lanterns, she used them to carve out a fun Halloween lunch for kids. This is a great snack to serve your little ones and a fun Halloween edible craft for the older kids to make themselves. 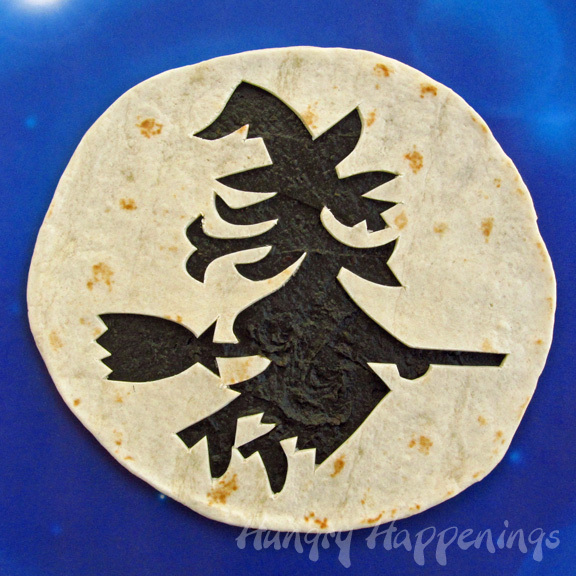 You can check out the details of this Halloween tortilla over at Hungry Happenings.